Stacey has guided the direct marketing efforts of various sizes of healthcare, industrial and technology organizations throughout her career. 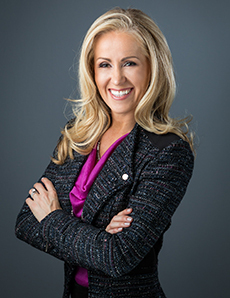 From nationally-recognized, direct response TV campaigns, to award-winning patient material, she has directed many successful strategic efforts to increase patient engagement. Stacey’s ability to visualize the big picture for brands is what makes her unique as a creative marketing leader. She leverages her knowledge in healthcare marketing to develop strategic plans that utilize print, direct mail, events, TV, and digital media to grow brands. As Creative Director, Stacey has an eye for design and for guiding young leaders to develop visually-appealing and effective creative assets. She is energized by speaking with patients who have experienced the benefits of innovative healthcare and were educated about their options through direct marketing efforts.